Welcome to our range of door handles for Upvc and Composite doors, we have tried to make purchasing your new handle as easy as possible. 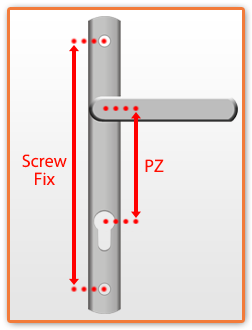 The most vital measurement you need to obtain is the PZ, this measurement is taken from the centre of the square spindle to the centre of the key. Upvc door handles to fit almost all types of upvc doors. Double glazing replacement door handles from all the major door handle and upvc door handle suppliers such as Hoppe door handles, Mila door handles, Avocet door handles, and Fab & Fix to name just some. 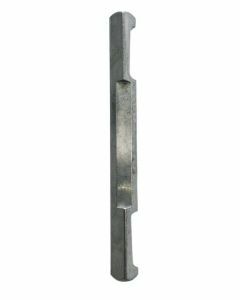 You will find all sizes and colours to suit the variety of spindle to cylinder hole centres (known as PZ centres) for your UPVC door. The most common are 92mm but we also stock 68mm, 70mm, 48mm, 95mm, and even the millenco 117mm pz centres. Always in stock and always ready for despatch to repair upvc double glazed door handles that are broken.